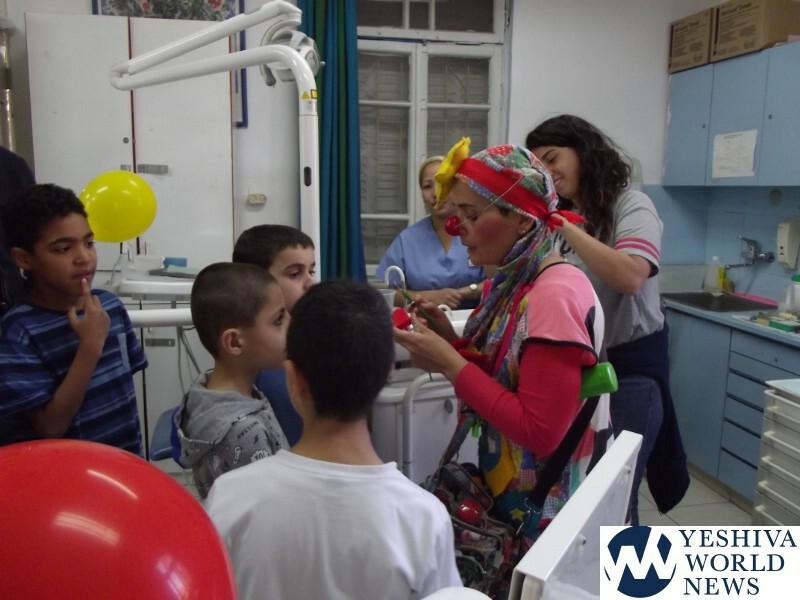 Every day is “Good Deeds Day” at DVI, Jerusalem’s free dental clinic for needy youth aged 4-26 that also serves needy elderly and Holocaust survivors by providing free dentures. The clinic is staffed with volunteer dentists from around the world who come at their own expense to treat our thousands of patients. DVI patients include a large percentage of youth at risk, orphans, children who have been removed from their homes by a court order, young mothers living in shelters etc. In addition to receiving dental treatments, DVI patients participate in an annual oral education workshop so that they can improve their overall oral hygiene habits and prevent further decay. Yom Hama’asim Tovim, Tuesday, 26 Adar, was dedicated to the memory of Joe Roman, a baby whose family would have been celebrating his bar mitzvah now had he not died as an infant. This family in the UK chose to honor his memory by earmarking a donation to DVI through the MyIsrael Fund thereby funding today’s dental treatments for the tens of children from a shelter serving children aged 4-13 who have been removed from their family home due to abuse, neglect and the like. Part of today’s activities included a 12th grade class from the ORT school that volunteered and did gardening work as well as engaging the children before and after their treatments. 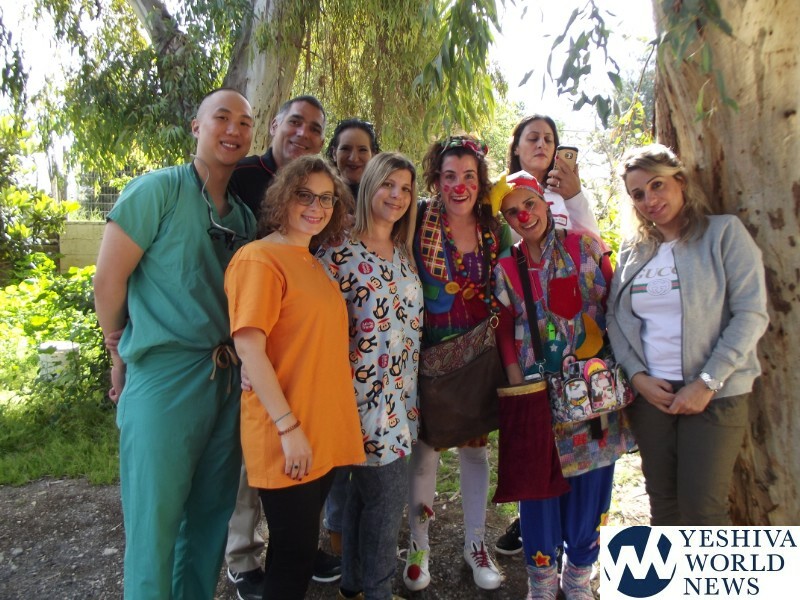 On National Yom Hama’asim Tovim Day the DVI clinic also kicked off a new collaboration with the organization Simchas Halev, another non-profit that sends medical clowns to various facilities. As a dental clinic that treats youth, many of whom come from difficult family backgrounds, once a week we will now have a medical clown helping to ease their anxiety in the waiting and treatment rooms. 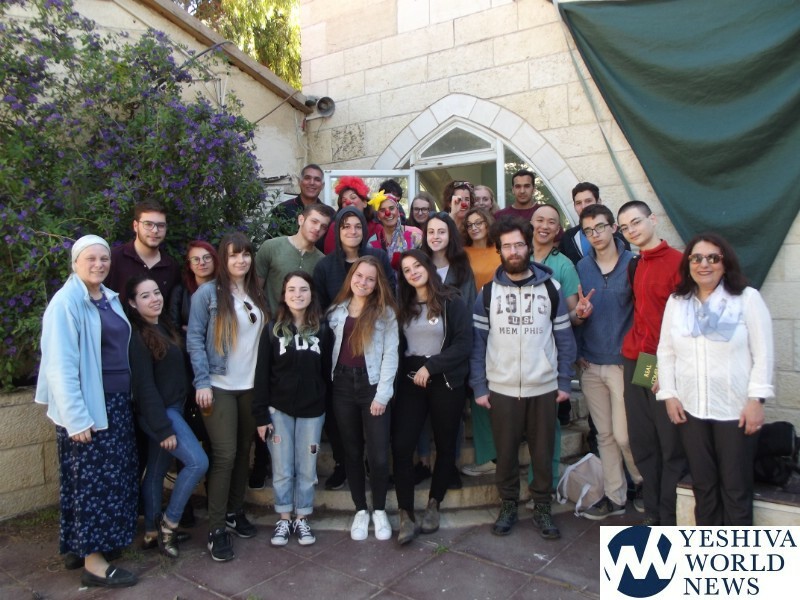 DVI is a shining example of inter and intra-group cooperation and Yom Hama’sim Tovim served to highlight the effectiveness of groups working together. Easing the pain and suffering of others was the founder, Trudi Birger’s legacy, as she had vowed to do so if she survived the Holocaust. She established the DVI clinic in the Talpiot neighborhood of Jerusalem, and 38 years after the fact her vision and kindness continues to improve the lives of thousands annually.